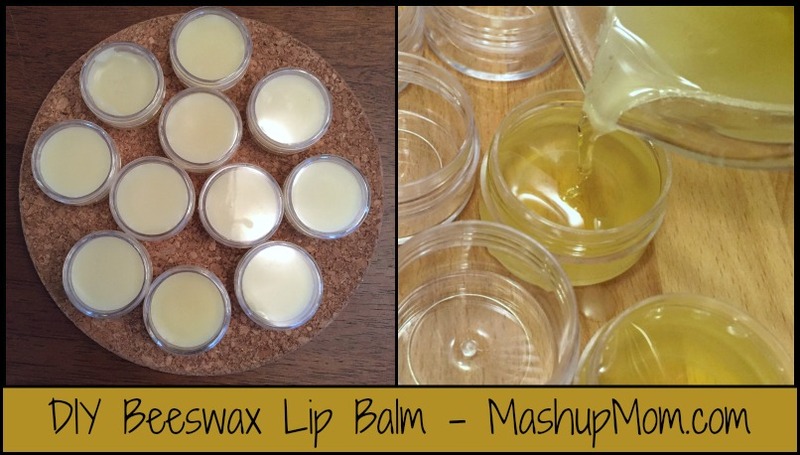 Here’s another tutorial from MashupDad, who’s been busy lately making his own DIY beeswax lip balm. 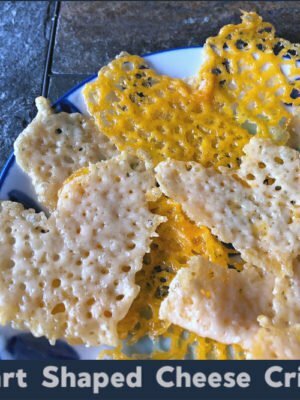 It’s actually taken quite a while to collect and render enough pure beeswax from his beehives to use in crafts and cosmetics, but he’ll tell you a little bit more about that below. 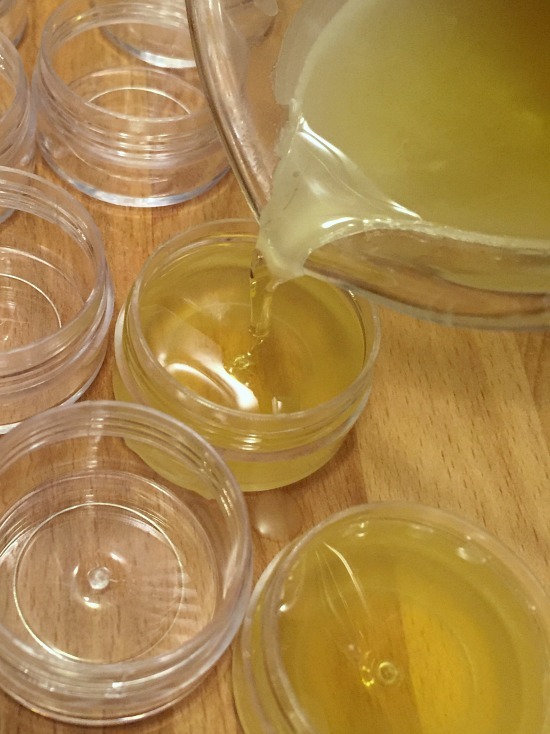 So: Here’s how to make beeswax lip balm containers, with a number of helpful tips along the way. Keep up with MashupDad’s ongoing adventures in beekeeping here! That stuck with me, so once I had enough hives generating burr comb (extra comb that is not where it should be) I started keeping it in a three gallon bucket. Finally, the bucket was stuffed and I decided I’d render it into wax — figuring I’d be able to make a bunch of candles out of it. But, after rendering the comb into wax (a completely disgusting process that I’ll leave for another post), I ended up with far less than one pound of pure beeswax. It was at that point that I realized why beeswax is so expensive! So, I put the lump of wax up on a shelf. Occasionally I would take it down, smell it (amazing smell…), and try to figure out how many hundreds of hives (and three gallon buckets of comb) it would take to make just one good-sized candle. Eventually, though, I decided to think smaller. 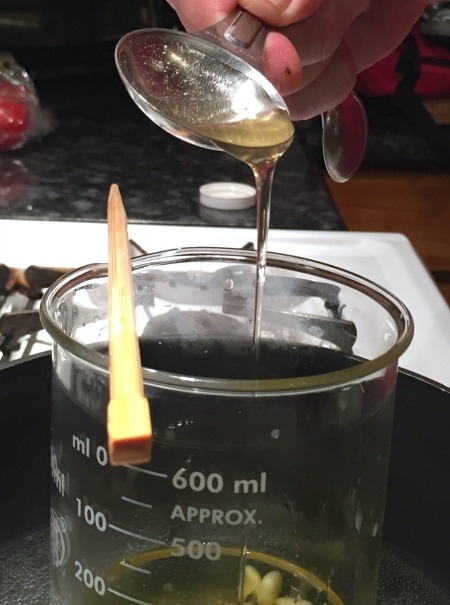 So after a successful mead experiment (yet another future post), I stumbled upon a few recipes for how to make beeswax lip balm that I have adopted and modified a bit to create Gordon’s Farm Epicurean Emollient for the Labium Superioris and Labium Inferioris: AKA… Lip Balm. Mine are made with local honey and beeswax, which is worth investing in if you can find it. Note: The scientific gear is optional. My son took an online honors biology course last summer and needed the gear for the labs — so it’s come in handy here! 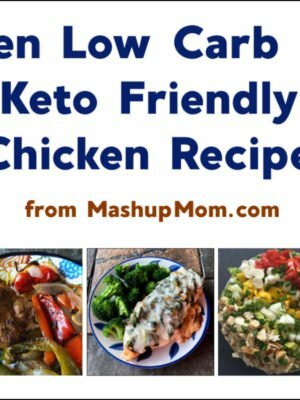 You will, however, need some way to measure out one ounce accurately — a precise digital kitchen scale will work here. I starting by zeroing out the scale with a plastic dish on it, to spare the surface. Important note here: beeswax is impossible to clean up. It will stick to everything and stay there forever. Be really careful with it: It will clog your pipes, and the only way to get it out is to spend $$ on a plumber. TRUST ME. I spilled beeswax on my back patio two years ago. It still looks just about the same as the day I spilled it, even though it’s in a high traffic area. I wiped out all my containers here with paper towels to remove the wax while it was still liquid; don’t ever pour it down the sink. 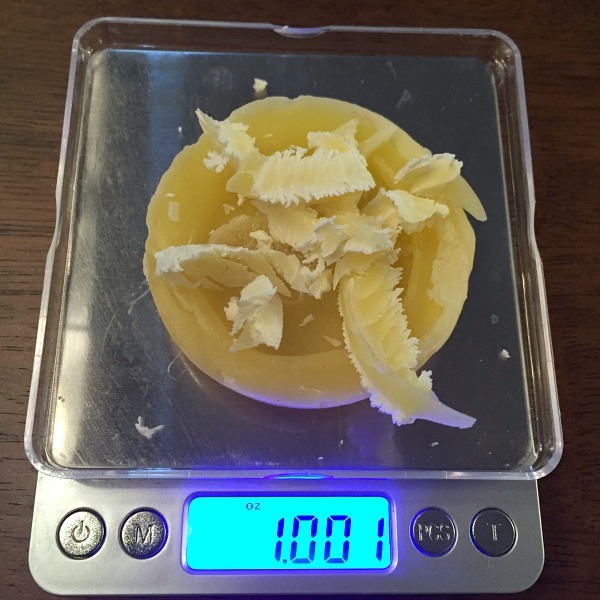 I then weighed out one ounce of beeswax and set it aside. 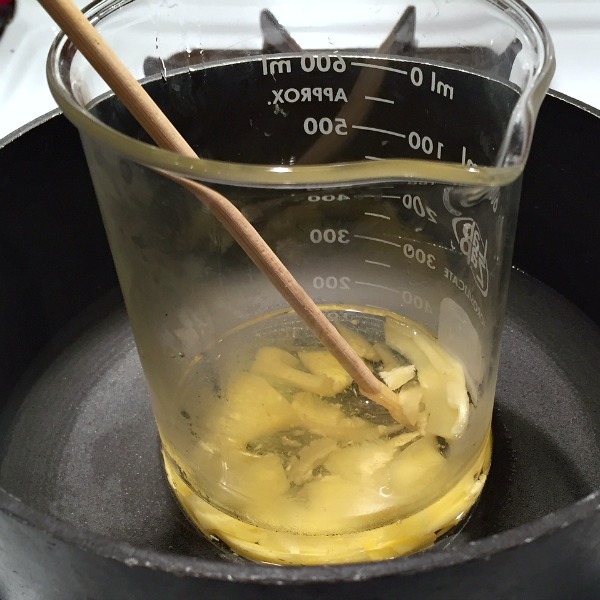 Using another pot with water in it, I put in the beaker to make a double boiler. 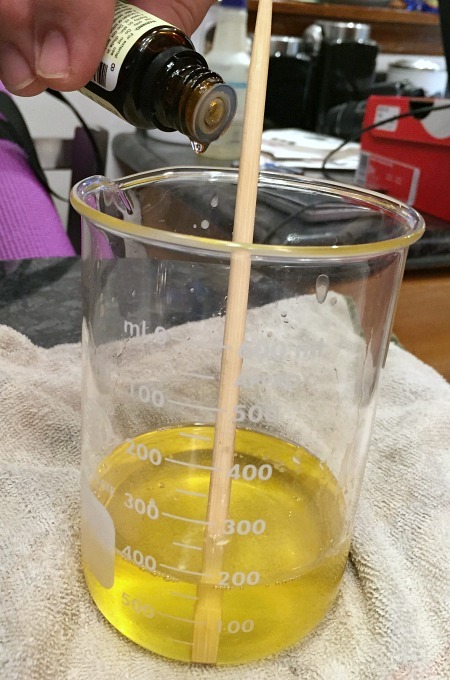 I gradually heated up the oil and started melting in the beeswax, stirring with the chopstick. 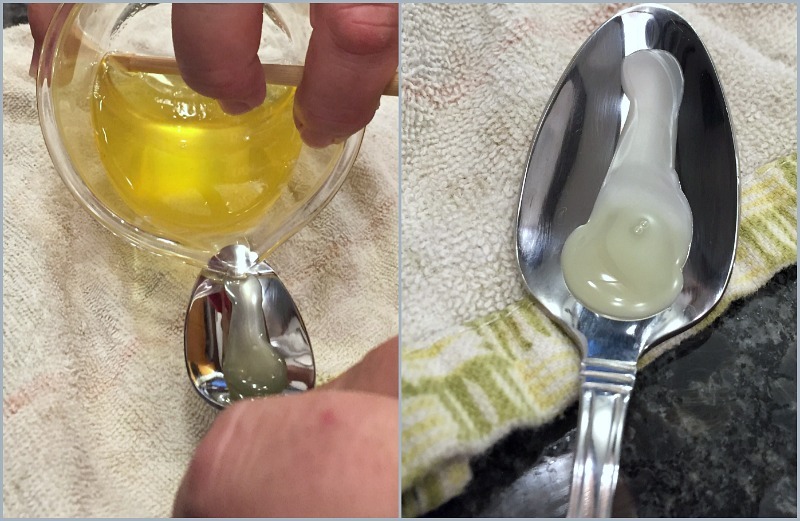 Finally, once all the wax was melted, I added in a tablespoon of honey and stirred until it was completely dissolved. I removed the almond oil, wax, and honey mixture from the heat and stirred in three drops of peppermint essential oil. I then repeated the spoon test to make sure the consistency was perfect. After determining that it was good, I quickly filled the containers. (Once the wax starts to cool, it’s impossible to work with.) 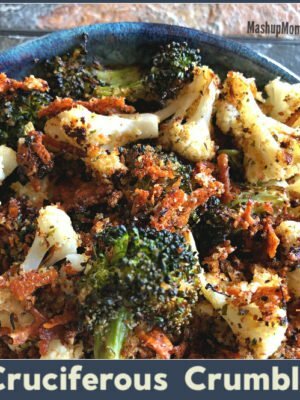 Because I was using a Pyrex container, I could hold the top of it in my bare hand and quickly fill the containers with the hot liquid. Finally, I let the lip balm cool and then screwed on the lids. Done! This method should also work well for lip balm tubes — but I have terrible aim, and would probably make a huge mess trying to fill them. Note: I did fill 12 containers in total, but Mr. 10 ran off with one before the photos were taken. 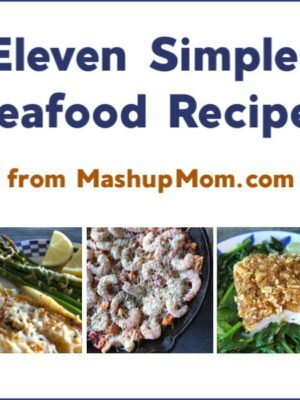 Make it… or buy it? Under the make it or buy it banner: Without looking too hard for deals, all of the ingredients here divided out to run about $1.06 total per finished lip balm. 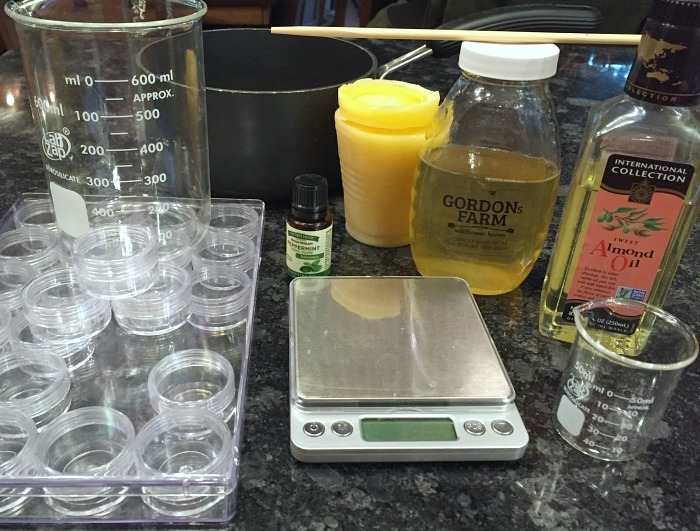 This factors in the honey, the beeswax (free to me, but incredibly time-consuming), the containers (around $.40 each), and the essential oil — but the lion’s share of the cost here was around $7.00 for the almond oil. 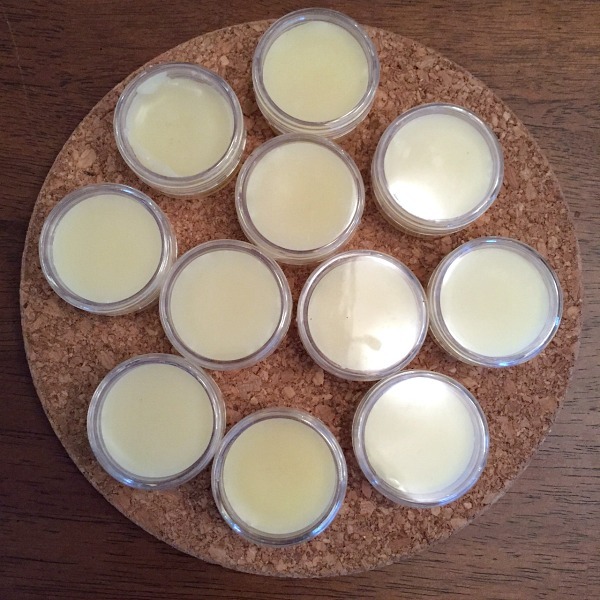 Beeswax lip balm tins run around $3.50 and up, so it does end up cheaper to make your own. 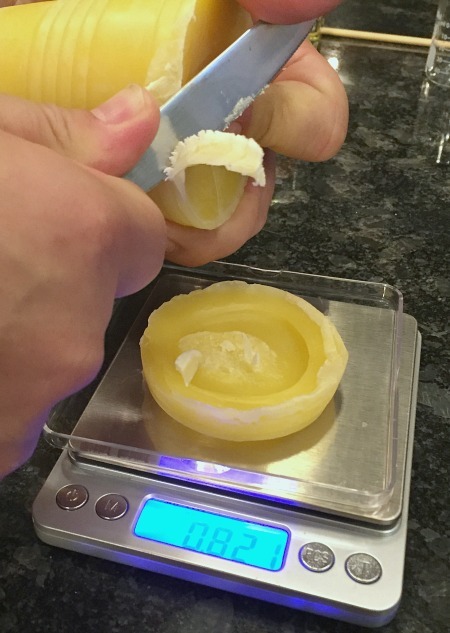 Now that you’ve seen exactly how to make beeswax lip balm, though, it then becomes a question of how much time and effort you want to put into it! Definitely look into recipes for “hard lotion”. It’s a beeswax based lotion bar that is great for the awful dry cold winters we get here in Illinois. Made On has my favorite recipe, and for molds, I just used a dedicated plastic ice cube tray. 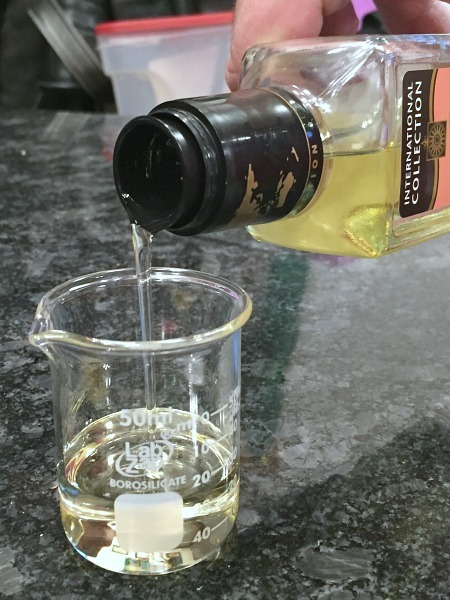 Your wife’s suggestion to weigh out the almond oil instead of using the measurements marked on the beaker could result in an inconsistent product if 1 oz. of oil measured in a beaker marked for measuring liquids, which of course they all are, doesn’t actually weigh 1 oz. You must first pour up 1 oz. by liquid measuring standards & then weigh it to make sure that 1oz. of liquid almond oil does indeed weigh 1 oz. Im having trouble with this project…..the finished product is very hard. It will be difficult to use a lip products if It has to be chipped out of the container. What did I do wrong? Hello do you have an alternitive oil foralergy reasons?